Last week CIMSEC featured articles offering future capital ship concepts in response to a Call for Articles from the U.S. Naval War College’s Institute for Future Warfare Studies. 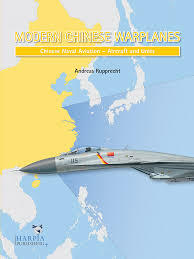 Authors discussed possibilities for future ship types, concepts of operations for the next generation of capital assets, and unique ideas about what really constitutes a capital capability in the modern era. Read on below to find the Future Capital Ship Topic Week author submissions. 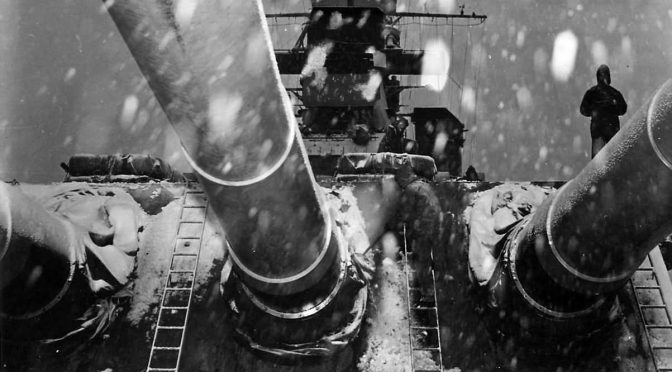 A capital ship’s capabilities has always revealed what is most decisive in naval warfare. In the next high-end fight, what will be most decisive is the ability to secure decision superiority in a contested information environment fraught with uncertainty and change. The understanding of how information will be contested and employed in future war remains in flux. The value of information in guiding fleet tactics and force structure is already being realized by China in unconventional ways. 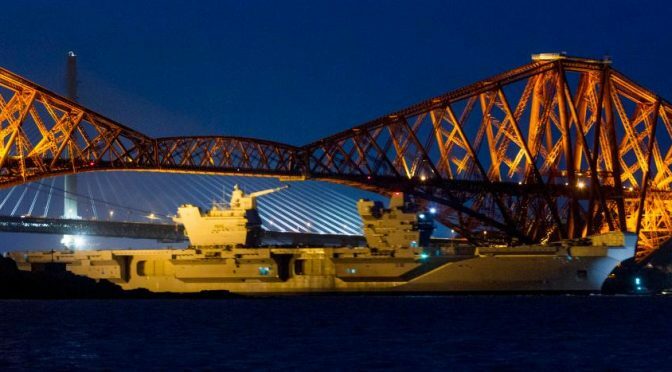 But what will emerge from an understanding of the future threat environment is that capital ships, especially aircraft carriers, can take the lead in contesting the electromagnetic domain itself. 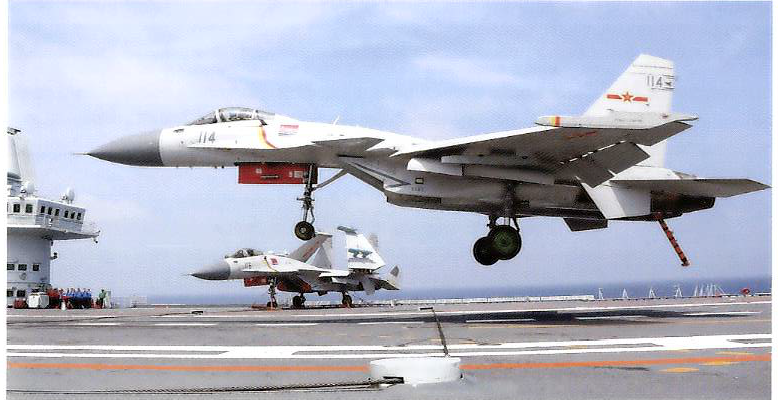 China is winning the battle of presence in Asiatic waters. 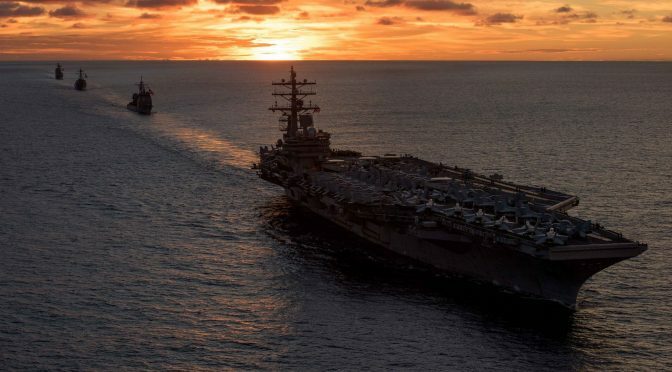 According to the Commander of U.S. Pacific Fleet, Admiral Scott Swift, the level of presence the U.S. Navy will reach this year in the South China Sea is on track for 900 ship days,3 and that figure is higher than usual due to an uptick in strike groups operating in the region. 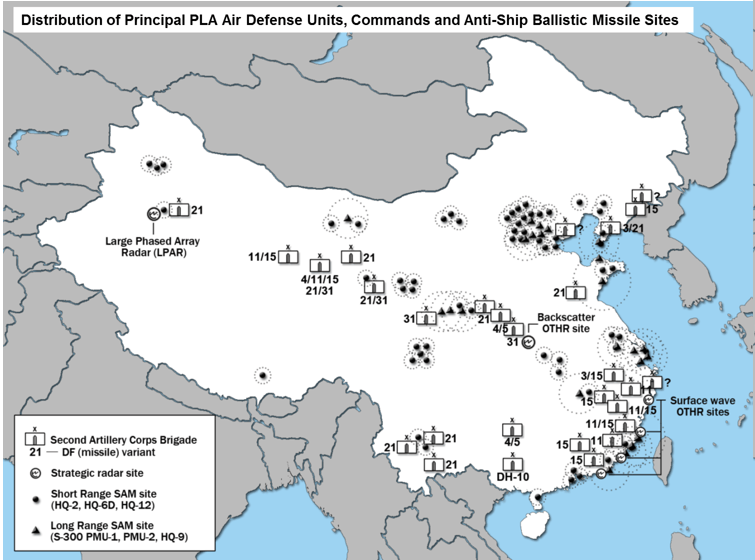 The People’s Liberation Army Navy (PLAN) now shadows every U.S. warship that transits the South China Sea,4 FONOPs or otherwise, meaning the PLAN has likely surpassed the U.S. Navy in how much forward presence it maintains in key waters in Asia. These paramilitary forces will readily provide escalation and wartime advantages for China, especially in the area of information. These units will likely exploit the protection rights of non-combatants to secretly contribute intelligence to China’s military in a theater of active hostilities. This will pose difficult legal, diplomatic, and military dilemmas and test the limits of rules of engagement. Fears over paramilitary units will exacerbate suspicions of thousands of civilian vessels and add new layers of complexity to the operating environment. Widely dispersed paramilitary units could provide early warning and conduct battle damage assessment without incurring the risk of emitting the unique signatures of military-grade equipment. Regardless of the fact that the majority of USN and PLAN assets reside outside forward areas during peacetime, this robust paramilitary presence would provide China with some sense of informational continuity in the transition between war and peace. It is an information-focused distributed fleet on the cheap. The rise of China’s maritime might is causing a significant shift in the operating environment the U.S. Navy considered itself the lone master of for three-quarters of a century. This displacement is jeopardizing the credibility of U.S. security guarantees in the region and allowing China to more confidently intimidate its neighbors. It is also a direct challenge to the U.S. Navy’s core missions of upholding the fundamental principle of freedom of navigation and offering avenues of access for American power. The level of U.S. Navy forward presence will only grow more inferior as China continues its large-scale and comprehensive maritime buildup. America’s grip on maritime superiority in Asia is weakening, and the U.S. Navy must undergo a major transformation to stay on top. A transformation is already underway as navies around the world seek to conceptualize what warfighting at sea will entail in the information age. A common vision must be founded on a basic understanding of how various aspects of war have been evolved or outright revolutionized by modern technology. Technology has turned the electromagnetic spectrum into the centrally contested domain that critical warfighting functions depend on across the entire breadth of their execution. Networks are not only tools but battlefields. Winning in the electromagnetic domain will determine whether critical intelligence is transferred, instructions are conveyed, and if the complex process of accurately targeting modern weapons is completed. Electronic warfare, cyber warfare, and ISR will largely be directed at understanding, confusing, and then deconstructing the system of systems that forms the adversary’s battle network. The fundamental trust that operators place in their equipment and each other will be a prime target. Degrading this trust could cripple a force out of proportion to actual losses. A key element of the U.S. Navy’s effort to adapt to this new environment will be widely distributing its combat power to gain sea control rather than closely aggregating units together as has been common practice for generations. Up until recently, fleet combat required physically concentrating forces for concentrating their firepower. Distribution reflects how the technology behind network-centric warfare has made it feasible to disaggregate ships yet still aggregate their capabilities. Distribution better postures a fleet for electromagnetic maneuver by deconflicting the electronic warfare capabilities of friendly units and forcing an adversary to spend more time localizing contacts across a large expanse of ocean.9 But managing the networked functions of a distributed fleet is a hard enough challenge that will grow even more difficult when the electromagnetic domain is contested in wartime. Command and control grows more strenuous with greater distribution. U.S. and allied assets will already be dispersed throughout the battlespace in some manner at the onset of sudden war, and will have to be quickly maneuvered into some viable operational structure. The task of organizing a dispersed naval force across a large theater as hostilities break out will be critical not just for success but for survival against a near-peer opponent. This challenge reveals how gaining momentary surprise at the onset of full-scale networked war at sea can reap strategically disabling blows. Even brief victories against networks will quickly translate into the sudden and decisive destruction that has always characterized war at sea. This grim possibility will be all the more important to guard against when the Navy is asked to project power against adversaries that will enjoy the benefits of operating close to home, such as land-based anti-ship capabilities that enjoy inherently steep logistical and survivability advantages over naval forces. Distribution enhances survivability by attacking left of the kill chain, the complex process of targeting modern weapons. By making the adversary’s information gathering and decision-making processes the focus, distributed warfighting emphasizes deception. Deception and distribution will exacerbate the severe challenge of processing the copious amounts of information gathered by powerful, modern sensors. For example, a P-8 Poseidon maritime patrol aircraft can generate up to 900 gigabytes of data in a single mission.11 Overstimulating sensors can fray nerves and induce an adversary to make decisions to their own detriment, such as radiating active sensors which can compromise stealth, unknowingly maneuvering into firing envelopes, and even firing salvos of hard-to-replenish missiles at ghost contacts. Gathering intelligence on the wide variety of unique signatures and capabilities that compose an adversary’s electronic order of battle will be pivotal in facilitating wartime adaptation. Threat libraries will be rapidly updated as adversaries reveal the true extent of their electronic capabilities. This intelligence will be fed into a fast-firing cycle of iterative adaptation where superior electronic capabilities will be fielded via something as quick as a software update. Operators will strive to understand the implications of a variety of actions and inaction amidst a constant struggle for electromagnetic context. Ships will carefully regulate emissions to avoid detection, yet emissions are paradoxically important for delivering effects, managing command and control (C2), and updating situational awareness. Employing a powerful emitter such as a SPY radar can pose a liability, and ships that feel compelled to radiate and communicate for the sake of enabling their own defense can compromise friendly units and become more susceptible to follow-on attack. The mass, attrition-based Napoleonic formations of today are the capital ship-centered strike groups, and the “small handfuls of soldiers” are a networked fleet’s dispersed surface action groups. The protective “folds in the earth” are the various nuances of the electromagnetic domain that is being contested and manipulated. Making sense of these nuances within the spectrum in order to recognize opportunities to deliver effects will define the competition. The wartime implications of the latest technologies are often not fully understood before they are fielded, but having a common vision of future war at sea serves as a necessary foundation for training, equipping, and operating a navy. The extent to which such a vision is being jointly established and acted upon in a coordinated manner by the various communities within the U.S. Navy is unclear. The surface Navy is in the early stages of operationalizing its distributed lethality concept that envisions numerous surface action groups operating offensively to achieve a cumulative sea control effect. This stands in stark contrast to the strike group constructs that have been the focus of surface ships for generations, where combatants specialized in escorting capital ships in mainly defensive roles. A new distributed operating concept for surface combatants should be facilitating a Navy-wide appraisal of what this means for all other communities and how the Navy interfaces with the joint force more broadly. To the Navy’s credit, Naval Warfare Development Command recently convened stakeholders from across the naval enterprise to contribute to the development of a forthcoming Distributed Maritime Operations concept (DMO) that could serve as a focal point for force development.13 Where there is room for improvement is in articulating what role capital ships, especially aircraft carriers, will play in a distributed fleet. The idea of a distributed fleet aggregating its capabilities through networking is not itself new.15 What is novel is the confidence in the ability of the scouting and communication enterprise to provide the information needed to effectively use high-tech weapons at ranges that were once considered extreme. But confidence is not capability, as evidenced by the decision to pull the anti-ship Tomahawk missile from the Navy’s inventory due to a lack of such confidence in the 1990s.16 Now within a decade an anti-ship Tomahawk will be back in the fleet, featuring a 1,000 nm range and offering a widely distributed sea control capability alongside other forthcoming networked missiles.17 The question is whether the Navy will be able to scout and communicate well enough to employ these weapons at range, especially when distributing the fleet compounds the information-related challenges of operating within a contested electromagnetic domain. As warships spread out to confound an adversary’s situational awareness and offer options to deliver fires, capital ships will make scouting, secure information transfer, and deception their primary missions. 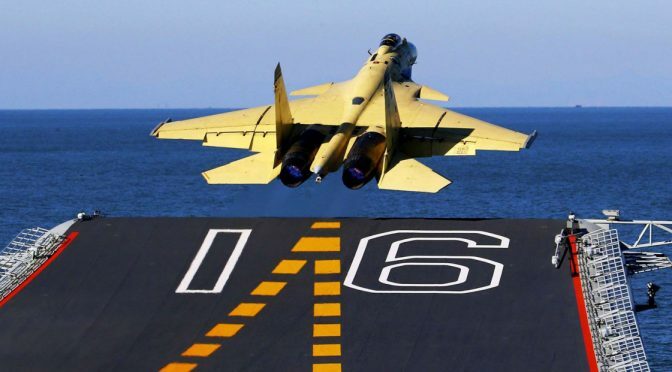 The natural advantages aviation enjoys in electromagnetic and physical maneuver will make the aircraft carrier central in conducting these critical missions. By taking the lead in contesting the spectrum, the capital ship will animate the networked fleet by securing decision superiority. Electronic action is still bound by physical limitations. Aviation can act as the connective tissue of an ocean-going battle network because altitude has a corresponding effect on detection and communication capability via a superior ability to peer over the horizon compared to a ship. This extra dimension of maneuver introduces more flexibility for managing the risks of sensing and communicating, making aircraft the scouting and information transfer asset of choice. A high-flying aircraft with a powerful radar can sense surface contacts further out than surface contacts could sense one another over the horizon. An aircraft can emit or transmit, drop to lower altitude, and then relocate faster than a ship to mitigate risk and get information to where it needs to be. Aircraft can use their speed to maximize the use of line-of-sight communications whose considerable bandwidth and jam-resistant advantages will prove indispensable in a contested information environment. These physical properties will allow aircraft to facilitate fleet connectivity by forming sensing and communication pathways through maneuver. Commanders will have a flexible means to augment the scope and focus of information that is being collected and shared throughout the force. Airborne sensor fusion will help commanders prioritize information flows to meet rapidly emerging needs. These characteristics hold significant tactical and operational implications for the distributed fleet. The technology that makes distributed operations possible will be for naught if an evolution in tactical thought does not accompany it. A primary challenge of distributed warfighting will be delivering the information needed to employ the engage-on-remote and retargeting capabilities that are the hallmark of a distributed fleet’s combat potential. Retargeting and engage-on-remote make weapons more reliable and fleets more flexible. The engagement process is transformed from a linear kill chain into an expansive kill web. Networked units can leverage capabilities from across the force to meet individual needs. Platforms will be able to fire without emitting, improving survivability. Salvos can build density as missiles from across the distributed fleet are aggregated. But engage-on-remote and the long range of potential exchanges means that sailors will have to get used to firing weapons with incomplete information. The passage of time and the dynamic nature of the contested spectrum means that the information that precipitated an engagement will often not suffice to complete it. Retargeting will prove decisive by allowing new information to be fed into a live engagement. It will help keep firepower discriminate, resilient, and long-range while mitigating the risks of operating with less information. Retargeting and engage-on-remote will dictate a fleet formation because a distributed force is not formless, but rather than an extended strike group of sorts. The ability to leverage engage-on-remote and retargeting capabilities from across the force will be a function of fleet connectivity and weapons range. The distance between platforms and payloads will affect the timeliness of information transfer, and weapons range will dictate the maximum extent to which forces can disperse from one another yet still combine their fires effectively. The wide-ranging tactical flexibility that can be gleaned from retargeting and engage-on-remote is directly correlated with the ability to transfer information. Ideally any sensor or communicator will support any shooter or payload, but passing information between them all will be difficult when that information is contested and loses relevance with time. The ability to fire and contribute information without radiating organic sensors opens up numerous tactical options, but using this capability will mean the man on the scene will have to rely on a man not on the scene. Therefore these capabilities combine to fundamentally change the perception of time, timing, and opportunity for a fleet. This will aggravate the challenge of precisely conveying commander’s intent and delegating the appropriate level of initiative to networked forces. Much of the public writing on distributed lethality has argued for delegating authority to the man on the scene, but that man will be just one more node in a network. They may not fully realize the tactical possibilities at hand compared to someone with better situational awareness and a broader view of how the fleet’s combat power is distributed. The organic sensors of ships cannot be trusted to independently target payloads that need to travel hundreds of miles through a contested information environment, especially when ships operate under EMCON. Launching a salvo will be a momentous decision as a large amount of a ship’s or surface action group’s magazine could be depleted in a single exchange, requiring confidence in information and the larger operational situation. 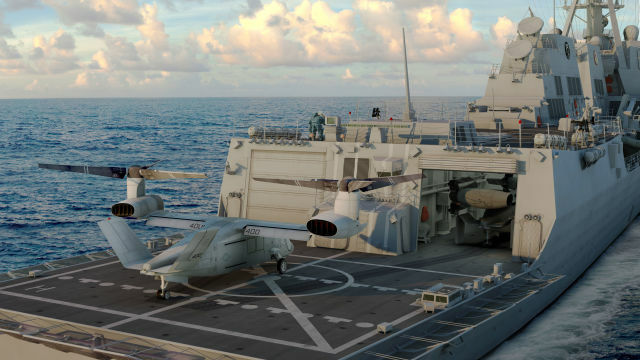 Aviators will become the tactical controllers of warship-based capabilities in a distributed fleet because their maneuver advantage translates into a superior ability to facilitate broad situational awareness, sensor fusion, and fleet connectivity. They will have more context and ability to make decisions, execute quick workarounds, and gather additional information versus warships that are tightly controlling their emissions while proximate to the adversary. Aviation-based network nodes can shift schemes of maneuver to help commanders balance the need for information up the chain of command with the need for initiative down the chain of command. The fact that only aircraft can realistically trail and intercept missiles in real time means they can provide more inputs to facilitate retargeting, and could close with inbound enemy salvos to target their datalinks. Aviators (with automated decision aids) will manage information flows between sensors and communications to make numerous inputs into the engagement process as it is transpiring. Because corrupt information will be commonplace in the next high-end fight, and because autonomous machines cannot be entrusted with life-or-death decisions, humans must own this process. In-flight retargeting is a weapon’s insurance policy, and aviation can be its guarantor. Aviation will also facilitate C2 by helping commanders with early-warning, battle damage assessment, and keeping tabs on one’s own forces. Having more time to react to threats will be key in crafting a tailored response from various tools that each have their own electromagnetic implications, rather than making commanders feel compelled to go all out to defend against the possibility of imminent destruction. Learning the status of dueling enemy and friendly ships can be risky, but when a ship under EMCON explodes in the ocean, does it make a sound? Lastly, an aviation-centric C2 scheme will build upon the natural advantages of undersea forces. Submarines will be able to penetrate further into the battlespace than surface ships, improving their chances of discovering high-quality information about the adversary. Securely getting that information back to the fleet via aviation-based network nodes will make the risk worth it, and engage-on-remote and retargeting can impose a daunting tactical problem by forcing adversaries to localize a submarine that is firing missiles or deploying decoys at range. One of distributed lethality’s maxims is “If it floats it fights” but if it floats it should also deceive. Deception will enhance survivability, gather intelligence on the enemy’s electronic order of battle, and facilitate strikes. Superior deception earns decision superiority. Deception-enabling capabilities can be distributed throughout the fleet by fielding a greater variety and quantity of decoys. These can include long-range decoy missiles that mimic the profiles of aerial platforms and conduct offensive electronic warfare, as well as shorter-range launched decoys and floatable payloads that can take on ships’ signatures. These systems often weigh less and take up less space than hardkill systems, making them easier to distribute en masse. For example, the ADM-160 Miniature Air-Launched Decoy (MALD) missile is about half the length and a tenth of the weight of a Tomahawk cruise missile, and has a 500-mile range.20 Such a decoy missile could enable an advanced fleet-wide deception capability by being fitted into launch cells, box launchers, and wing pylons. Aviation can enhance fleet deception by flexibly deploying, retargeting, and transporting a large variety of decoys on demand. The extent to which the platforms themselves are actively at the forefront of deception should be minimized. Operators should strive to delegate as much deception as possible to decoys and unmanned platforms that can take on the risks of raising a higher electromagnetic profile. Deception plans involving decoy saturation would allow for momentary opportunities to break EMCON and gather information as an adversary reacts to the deception. Decoy missiles could act as penetration aids to improve the lethality of salvos and help aircraft scout risky areas. Aircraft can manage decoy missile datalinks in-flight to maximize their usefulness. Lastly, softkill countermeasures can have far more favorable cost-exchange ratios against missiles compared to hardkill measures, allowing a distributed fleet to conserve munitions and improve survivability. Aviation assets could maneuver on short notice to deploy softkill payloads along the axis of an inbound salvo to dilute it at a distance from the intended target. These comparatively small and lightweight payloads would allow a capital ship, via an interoperable aviation platform, to flexibly deploy defensive countermeasures over a large area and replenish other ships’ decoy and softkill inventories on demand. This capability will be critical because a distributed fleet will often struggle to mass defensive firepower in a timely manner. Capital ships themselves still possess unique advantages in information age warfare. Capital ships will play a key role in facilitating frontline wartime adaptation because they will field the largest afloat concentration of intelligence, cryptologic, and cyber expertise in the battlespace.21 As information is continuously gathered and transferred by aviation across the distributed fleet, capital ship-based expertise will lead the effort to process that information to discover vulnerabilities and devise fixes and exploits. Capital ships will in turn use their superior reach back capabilities to act as a conduit between the forward-most warfighter and national-level assets that can aid adaptation, such as Navy and DoD threat libraries. Aviation can take those exploits and fixes back to the distributed fleet and the enemy from the capital ship. This will be especially poignant for sustaining a deception advantage, where both sides will place priority on unmasking the other’s means of deceiving. Fresh updates based on the latest intelligence could be patched into modular decoy payloads at the capital ship, and then aviation can transport these enhanced decoys back out to the fleet via a platform that is interoperable with capital ships and surface combatants. Such a ubiquitous and modular aerial platform will allow the capital ship to compliment warship needs in a variety of ways. Aside from aiding various warfare- and information-related missions, having an aerial platform that can land on almost anything will open up options for augmenting logistics and personnel on the fly. It will also enhance capital ship survivability by allowing the surface force to take on some of the burden of sustaining aviation assets. Unmanned systems can play a role by conducting a variety of the missions described, whether information transfer, sensing, or deploying decoys and softkill countermeasures. 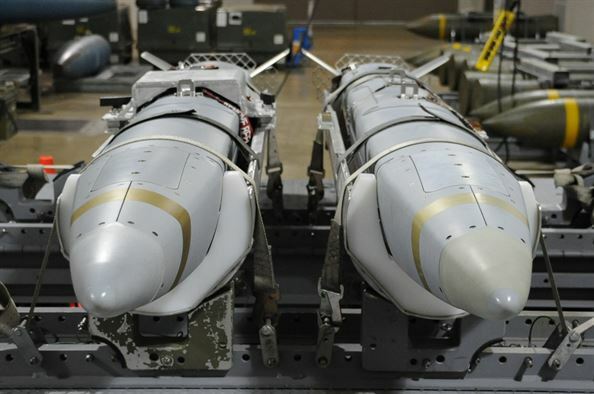 Because of their relatively small size and weight, the sensors and payloads required to conduct these missions can be fielded by unmanned systems in the nearer-term compared to heavier offensive weaponry. Additionally, automation alone will improve communications security because more automation means fewer operator inputs are needed. Because robotics has shrunken platform size, future capital ships will be able to easily host small undersea, amphibious, and surface unmanned systems to extend their reach into more domains than before. Wayne Hughes offers an important caveat to all of this, that “tactical complexity is a peacetime disease” and that “the temptation to equate complex tools with complex tactics will be almost irresistible.”23 As with what happened in WWII and elsewhere, the Navy and the U.S. military writ large will run the risk of employing tactics and technologies that are not yet fully inculcated into the force if war breaks out. Given the current pace of change, that risk may never go away. 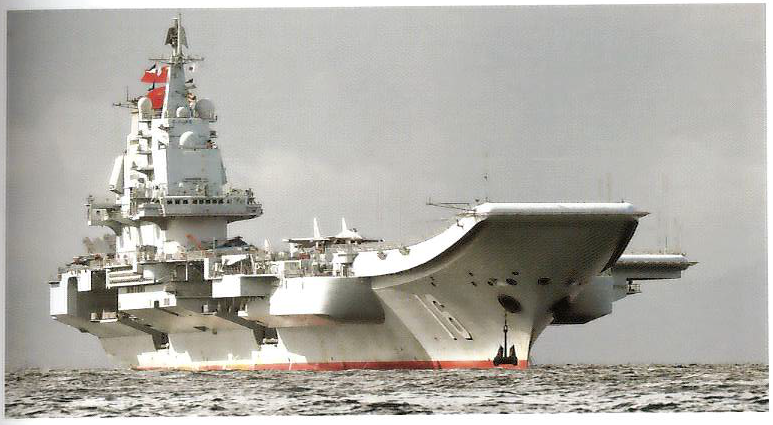 What should be clear, at least for now, is that there is still a place for capital ships in high-end warfighting. The distributed fleet of tomorrow can become real if capital ships dedicate themselves toward prosecuting the most important and elusive target of all: information. 8. James D. Hornfischer, The Fleet at Flood Tide, pg. 171, Bantam Books, New York, 2016. 14. Wayne P. Hughes, Jr., Fleet Tactics: Theory and Practice, pg. 173, Naval Institute Press, 1986. This week CIMSEC will be featuring articles that discuss future capital ship concepts in response to a Call for Articles from the U.S. Naval War College’s Institute for Future Warfare Studies. Below is a list of articles featuring during the topic week that will be updated as the topic week rolls out and as prospective authors finalize additional publications.